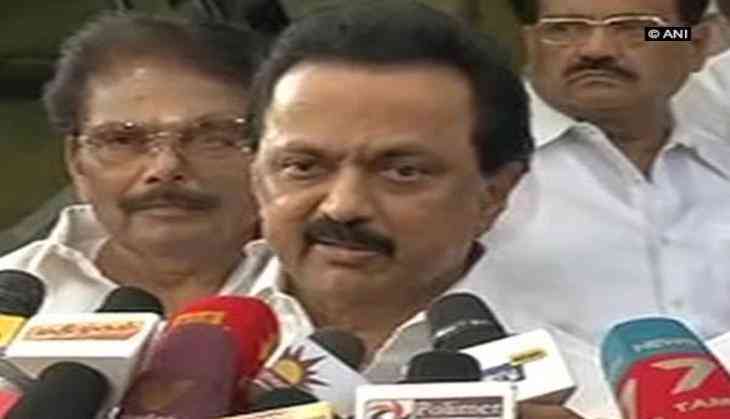 Dravida Munnetra Kazhagam (DMK) working president M K Stalin on Friday urged the AIADMK led Tamil Nadu Government to immediately roll back the hiked bus fares in the state. "Bringing a testing time for poor and marginalized people of the state, increase in bus fare by the present AIADMK government has come as a big shock. I urge this horse-traded & 'commission agent' government to immediately roll it back," Stalin said. After six years, the Tamil Nadu government on Friday hiked the fares of Metropolitan Transport Corporation (MTC) buses in Chennai from Rs 3 to Rs 5, and the maximum from Rs 14 to Rs 23. The new fares came into effect on Saturday. According to state transport department's statement, in case of non-metros, tickets would range from Rs 3 to Rs 19 and for Chennai Mofussil Bus Terminus services, the fare has been increased by nearly a third. Reportedly, the state government has said the fares were increased due to the hike in the prices of fuel (by almost 50 percent in six years), besides maintenance and increase in the wages of employees of the various debt-ridden state transport corporations.